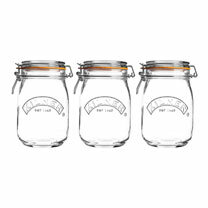 Kilner 1 litre Round Clip Top Glass Storage Jar has the Kilner brand embossed on the front and is finished with an orange rubber seal. 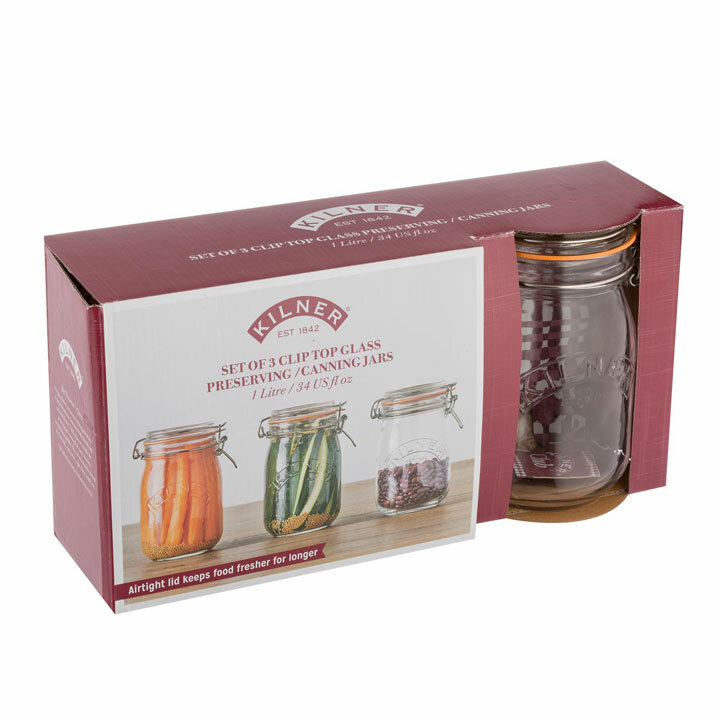 The jars are perfect for storing dry foods stuff and also preserving fruits, jams and chutneys. 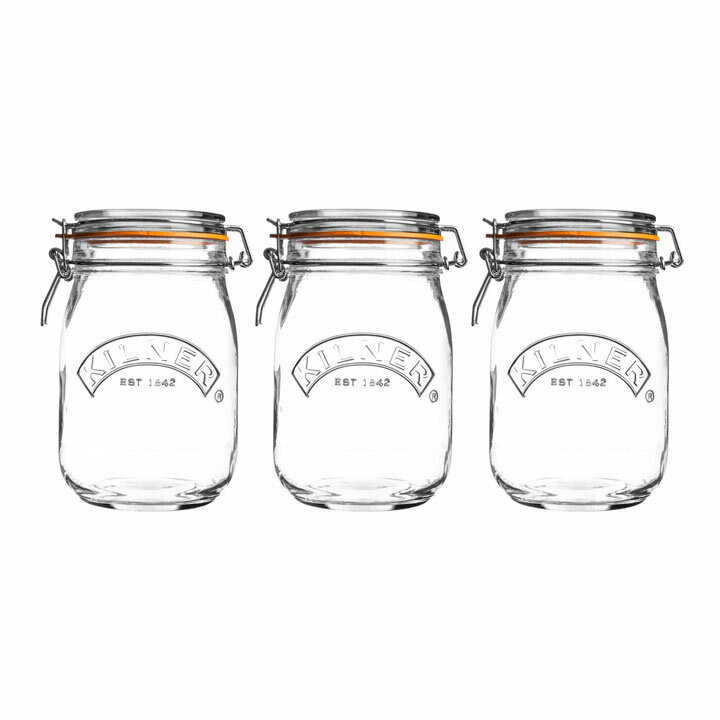 Height 190mm x Width 110mm.